Mothercare is a global retailer for parents and young children. Since opening its first shop in 1961, there are now over 1,500 stores offering both Mothercare and Early Learning Centre products. Mothercare provides a great range of stylish and practicalproducts for your child, including baby clothes. There's two top reasons to buy unisex baby clothes - firstly you might not know whether you're expecting a baby boy or girl and want to get clothhing prepared in advance, and secondly, you may want to save some money if you're planning to have more than one child or give the clothes to other children to use. Mothercare has been been a premier provider of baby clothes for many years and so knows very well what styles and colours appeal to parents. 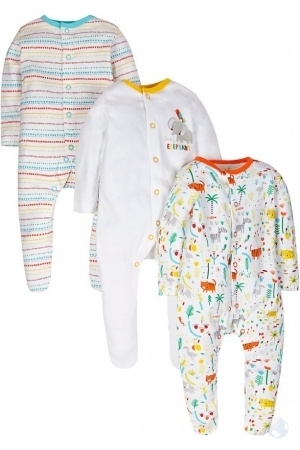 Natural colours of white and yellow always look great of children as it is such a soft colour, but if you're looking for something more vibrant, Mothercare has colourful unisex baby clothing which is equally suitable for a boy or girl. The range is refreshed each seans and popular themes are animals, seaside, winter, bears, stars and rainbows. 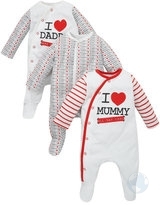 Below you can view examples of the unisex baby clothes and unisex childrens clothing available but there is much more on the Mothercare website. Free UK standard delivery on orders over £50. Next day delivery is available from £7.95. Items can also be collected from your local store free of charge. Click here to view more unisex baby clothing on Parent Ideal - All the best mother and baby product retailers in one place.